No matter what the exact outcome of recent events in Tajikistan and Azerbaijan, one thing is clear: Islamic revival in the former Soviet Union is gaining momentum. There was a dramatic jailbreak in Tajikistan in August when 25 high-profile political detainees killed the jail guards and managed to escape. The escapees included Ibrohim Nasriddinov, member of the Islamic Movement of Uzbekistan (IMU) and former prisoner at the US torture chamber at Guantanamo Bay, relatives of Mirzo Ziyoev a slain former Islamic opposition commander, who eventually joined the government to become emergency situations minister, and Abdurasul Mirzoev, brother of General Ghaffor Mirzoev, the former presidential guard commander and Tajik Drug Control Agency head. The events in Tajikistan are not isolated examples of the confrontation between Islamic forces and authoritarian regimes in the ex-USSR region. On September 4, Ilham Aliyev’s regime arrested Haji Movsum Samedov, Chair-man of the Islamic Party of Azerbaijan (AIP), and several other participants at the Quds Day protest rally in front of the Israeli embassy in Baku. Samedov was sentenced to eight days in prison. A few days after Samedov’s arrest, Bagir Kazimov, deputy of the government-appointed “scholar” of a local mosque in Lenkeran city, made scandalous allegations against Qismet Isayev, a highly popular and respected Islamic scholar. Due to Kazimov’s connections within the regime’s police forces, Isayev was arrested and detained for five days. Upon release, Isayev was greeted by thousands of local residents of Lenkeran but they faced a brutal police attack and 40 people were detained. Several days later, following the events in Lenkeran, a similar incident took place in the capital, Baku. As people went to greet the released leader of the Islamic Party of Azerbaijan, police violently attacked the crowed and arrested 65 people. These recent incidents show that the Muslim countries of the ex-USSR are slowly turning into an important battleground against the forces of oppression; they are no longer a fringe part of the Ummah. The latest events in Tajikistan have been mostly dominated by takfiri minded elements that act as an obstruction to the Islamic movement worldwide. Nevertheless, the regime in Dushanbe will use these events to crack down on the Islamic Revival Party of Tajikistan (IRPT). 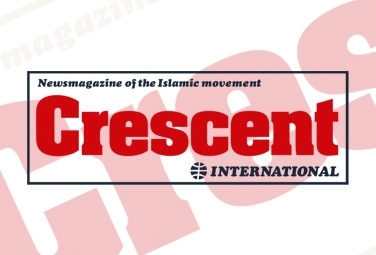 IRPT’s status as the only legally active Islamic political entity in the region has long been a source of anxiety to Central Asian despots and their masters in Washington and Moscow. Therefore, they will not miss any opportunity to weaken the IRPT. This is perhaps the only policy upon which all oppressive forces involved in the region agree. The IRPT is the largest and most influential Islamic organization in Tajikistan and Central Asia. Since signing a peace deal in 1997 that ended the civil war, the IRPT has announced a moratorium on challenging the regime. 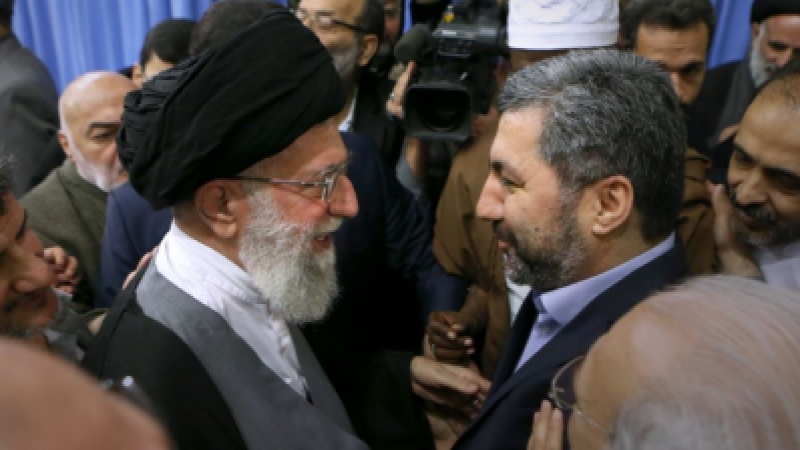 The long-term effect of these recent events can potentially split the IRPT into military and political factions or force it to challenge the regime politically as a united force. In either case, it will result in the destabilization of the illegitimate regime in Tajikistan. However, the likelihood of a split within IRPT ranks at present is low since the overwhelming majority of its members accept the strategy designed by the late Said Abdullo Nuri as a political road map to success. A split within IRPT would lead to armed conflict with the regime that is not fully prepared to fight in the prevailing circumstances in the region. 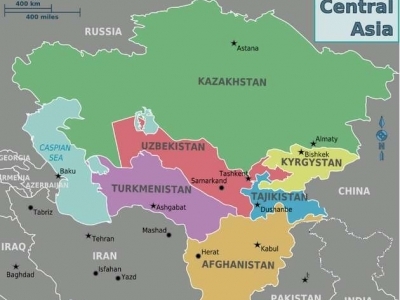 The conflict in Tajikistan would immediately spread to neighboring Afghanistan bringing with it a pool of pro-Islamic Tajik fighters and complicate the situation for the US and Russia. The regime in Dushanbe is too dependent on Moscow and Washington to disregard their interests. If the authoritarian regime in Dushanbe chooses to crack down on the IRPT, resulting in escalated tensions, its main instrument against the IRPT would be the takfiri groups. Through implicit support of the regime, the takfiris would attempt to hijack the banner of Islamic resistance. This would benefit the regime since it will discredit the IRPT. To prevent the takfiris from hijacking and discrediting the IRPT through their non-Islamic methodology, the IRPT should use wisdom and decisiveness. However, the IRPT must also use caution in being co-opted in the regime’s efforts to crack down on some, but not other takfiri groups. The ability to maintain a fine-line between these potential circumstances will test the IRPT’s political maturity. While the situation in Tajikistan is murky and might get even more complicated after recent events, the situation for the Islamic movement in Azerbaijan seems better than that of their counterparts in the IRPT. Over the past two years, oppressive political conditions and the Azeri public shut out from the political scene, fake opposition groups of all colors have been nurtured by the regime to maintain a veneer of democracy. Today the socio-political events in Azerbaijan are dominated by a tussle between the regime and the Islamic movement. In the absence of a real opposition movement, the Islamic movement in Azerbaijan is gradually filling the political vacuum but not as part of any carefully thought-out program. While the Islamic movement in Azerbaijan lacks determination and perceives itself as weak, the regime views it as a serious threat to its illegitimate grip on power. The regime’s aggressive tactics trigger a defense mechanism within the Islamic movement that forces it to act. This automatically fills in the political vacuum that exists in the country. At the moment the regime has pushed itself into a corner; it cannot stop its repression because the general public will perceive it as having retreated. Otherwise, it can further escalate violence and force the Islamic movement to act. Therefore, the regime feels its best option is to instigate “action” by fake opposition groups in order to rob the Islamic movement of its authority and legitimacy. However, this can quickly get out of control due to extreme hatred toward the regime within Azeri society and cause unintended negative effects for the regime because real opposition groups can join the tide. No matter what the exact outcome of recent events in Tajikistan and Azerbaijan, one thing is clear: Islamic revival in the former Soviet Union is gaining momentum. Due to the weakness of the regimes compared to those in the Middle East or North Africa that have much more oppressive and ruthless state apparatuses, it would not be surprising if the next Islamic revolution occurred within the former “communist” republics. Who could have predicted 10 years ago what we are witnessing in Turkey today?